The Back of the Book (from Amazon): The pattern of religious life is changing dramatically. While the numbers of professed monks and nuns is small and falling, large numbers of men and women people are formally promising to live in the world by monastic values. Equally, churches are failing to win large numbers, but many are drawn to the simplicity and wisdom of monastic life. Among Benedictines, these are known as oblates. 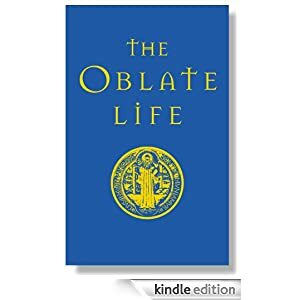 Here is a comprehensive guide to living as an oblate – in the home, in society, at work and in the church. Written by experienced oblate directors from around the world, it is an essential, lifelong formative guide for anyone living or considering the oblate life. NotJustLaura’s Review: This book is a collection of essays by Benedictines in which they look at all aspects of an Oblate’s life. Although each author has his own style and focus, the book holds together really well and answers the question “What does ‘Benedictine’ look like?” in a practical rather than an academic manner.